Our dentists are licensed specialists and have been practicing for years. Quality of treatment and patient satisfaction-Our motto . Wide range of experience in implant dentistry, laser Dentistry. Dental implants, which may be an option for people with missing teeth. This surgery done at our clinic. To know more, book an appointment. 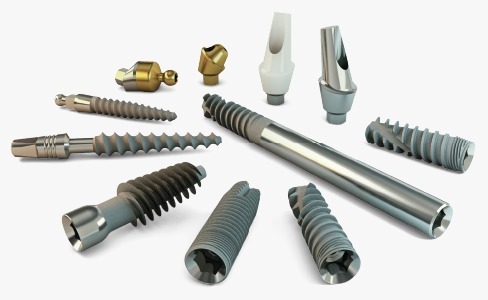 Noris Medical strives to provide the dental implants market with the highest quality products and systems based on sound engineering principles and excellent prosthetic options for implant supported crowns, bridges and denture attachments. Dental implants are placed into either the maxilla or mandible as an alternative to partial or complete edentulism. Once placed and properly integrated into the bone, implants may then be fitted with a number of different prostheses: crowns or bridges precision attachments for either removable partial dentures, complete dentures or a hybrid sort of prosthetic appliance. BPS Dentures meet the esthetic and functional demand of denture wearers. The functional impression technique and simulation of jaw movements by stratos 200 articulator in BPS ensure that BPS denture meets most of the requirements by a denture wearer. Be rest assured of a confident and vibrant smile with equally good function. A dental laser is a type of laser designed specifically for use in oral surgery or dentistry. Dental lasers are not without their benefits, though, as the use of a laser can decrease morbidity after surgery, and reduces the need for anesthetics. The branch of dentistry concerned with the diseases of oral and paraoral structures, including oral soft tissues and mucous membranes and the teeth, jaws, and salivary glands.